Editable newspaper Just take any image of a newspaper page and apply it to the diffuse (color) channel. Easy! Model is for Cinema4D but can be used in any other software, too. 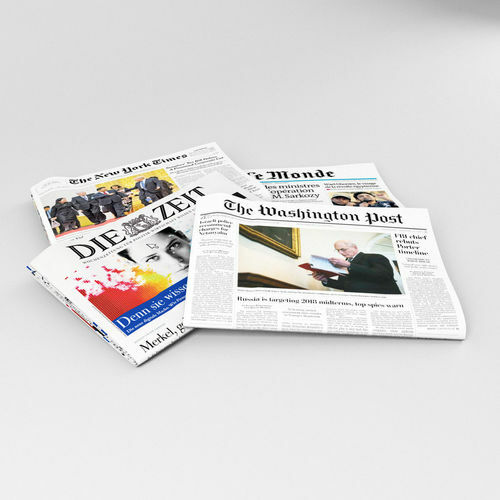 Four textures are already included: Die Zeit, The New York Times, The Washington Post, Le Monde. Exchange files for other software are included.